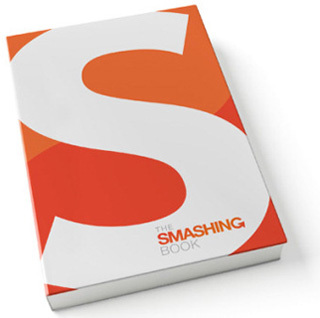 There are so many design books available that it’s a nightmare to chose the right one. From general design, CSS, colours to user experience books it’s really hard to keep up with all the new books being printed every day. Here are my favourites for which I believe every web designer should have in their collection. I’m really anxious to read this book. From what it can be found on Smashing Magazine it will a well rounded book with clearly divided topics into chapters: The Art And Science Of CSS Layouts, User Interface Design In Modern Applications, Web Typography: Rules, Guidelines And Common Mistakes, Usability Principles For Modern Websites, The Guide to Fantastic Color Usage In Web Design and Usability, Performance Optimization For Websites, Design To Sell: Increasing Conversion Rates, How To Turn A Site Into A Remarkable Brand, Learning From Experts: Interviews And Insights and The Smashing Story. As you can see it contains everything a web designer should read, from colouring and typography to CSS and usability. The book will contain almost 300 pages filled with texts from world renown authors like Jacob Gube (SixRevisions), Dmitry Fadeev (UsabilityPost), Chris Spooner (Spoongraphics), Darius A Monsef IV (COLOURlovers.com), Alessandro Cattaneo (with co-editing by Jon Tan), Steven Snell (VandelayDesign), David Leggett (UXBooth), Andrew Maier (UXBooth), Kayla Knight (regular writer on SM), Yves Peters (Typographica.org), René Schmidt (system administrator at The Smashing Magazine) and the Smashing Magazine editorial team, Vitaly Friedman and Sven Lennartz. 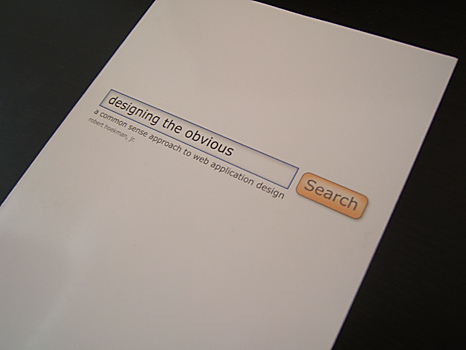 Even the cover of the book gives a hint it’s a book about user experience in web application design. Robert Hoekman made user experience oriented design a must-have in every web application after reading this book. Through almost 300 pages you will be shown the principles of good user experience oriented design, form 80-20 rule, essentials and nice-to-have rule to common user interface elements design. Every principle is followed with an example and a case study. UX book praised and raised almost to divine status when talking about user experience. 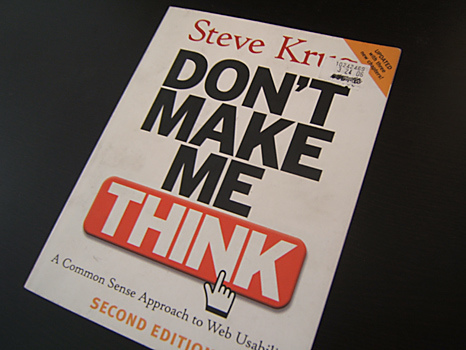 Steve Krug ant Don’t make me think are praised in almost every other book which talks about designing good user experience interface. Robert Hoekman in his Designing the obvious quotes this book throughout his book which is more than enough for me to finally get and read this book. Already on my Amazon shopping list. 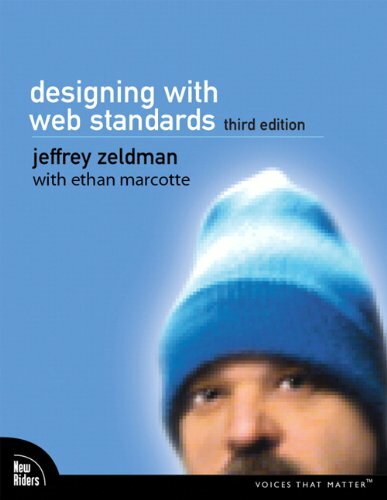 With 3-rd edition published on 25-th October this year Jeffrey Zeldman is keeping this book on top of every web designers list of books to read and have on their bookshelves. 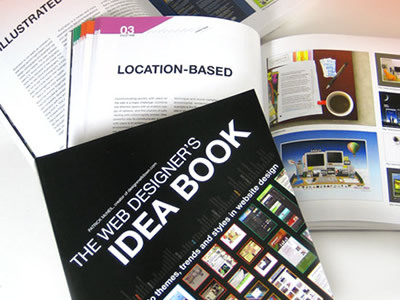 On more than 400 pages, this book on a very attractive and almost ingenious way is teaching web designers why and how to create a web site that will actually work. Out of idea? Stuck an the very beginning of your design? You can fire up you favourite browser or you can open up this book. Truly remarkable book if you are in the need for some fresh ideas. Some might argue that you have to be creative to be a designer but it doesn’t hurt to get a jump start. This isn’t a book about web design but sooner or later every web designer will have to present his/hers work to a (potential) client. 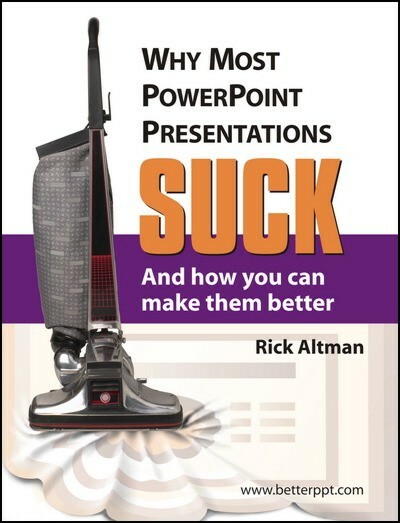 You can design, but can you design a PowerPoint presentation? Can you stand up in front of couple of people and present your work? This book will teach you that a slide design isn’t enough, it will show you when and how to use animations. It will teach you how to move around the room, where to stand and how to speak. In short it will teach you how to work-the-room. I’m having a little bit of trouble viewing your site in Internet Explorer, but it may just be my computer. Apart from that, I love your site. I plan on surfing around and reading some more posts! As for the IE, what IE are you using? In IE8 and IE7 everything looks quite good. What problems do you have? Nice to see some original content for once. I’ll subscribe to your rss feed to get future updates.